Interior Door Panel Styles by Year? Based on photos I’ve found, it looks like there are 2 designs, a “straight” style used on the earlier cars, likely thru 7/70 or the 1970 model year. The “curved” style would be from 8/70 being the 1971 and up model years. Can anyone confirm what year the design change occurred and if the early 8/68-3/69 part number was yet another design? Re: Interior Door Panel Styles by Year? 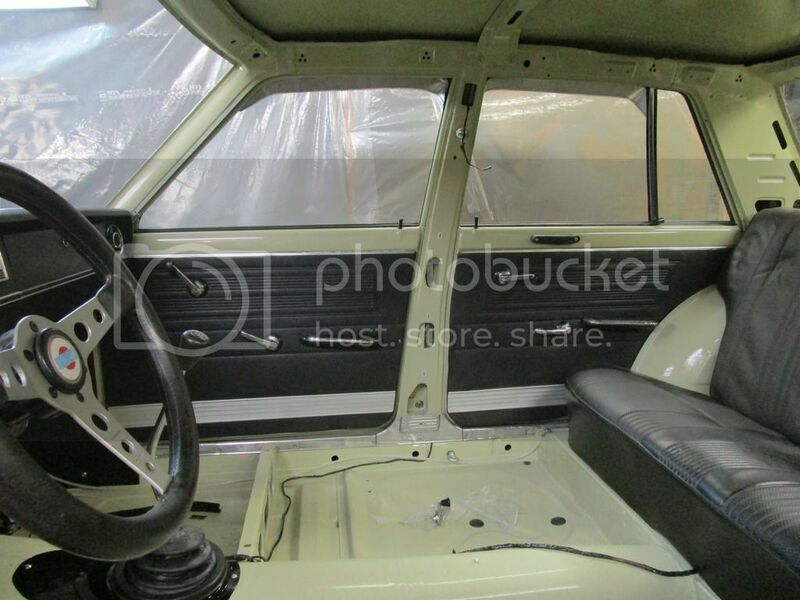 My MY69 car that was reportedly original before I got it shows the straight style panel. I'm not sure what year the BRE #46 car was (first raced 5/71) but it has the square design as well. So as best I can tell the #46 would have been built after 8/70 as VIN 200000 started on that date. Had been dyed, original color in corner. No arm rests, just the little plastic handle at the top to pull on. And my current MY69, JDM-yo, has the straight style panels, just with the aluminum garnish along the bottom. Not really clarifying the MY change, but at least there may not be world panels in addition to USDM panels. The curved 2 door door panels incorporate a stepped steel edge riveted to the top of the backer card. The rear curved panels for the 2 door do not and the curved door panels for for 4 door I have do not have this edge front or rear. The steel edge is under the vinyl with the vinyl wrapping over it. The step effectively reduces the thickness of the top edge on the panel and requires use of a thinner receiver channel. The 4 door and rear 2 door rear panels being thicker panels along the top edge, have a larger receiver channel than the 2 door doors have. 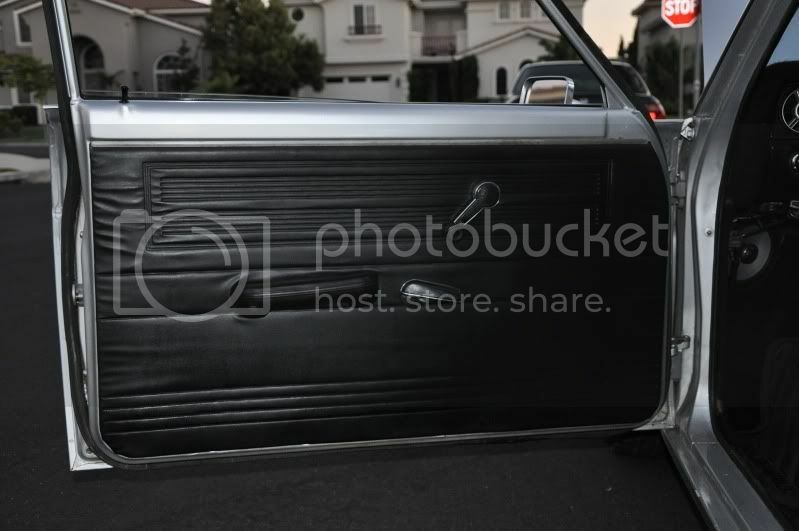 Does the straight 2 door panel have the same steel edge under the vinyl as the curved 2 door panels do? ... No arm rests, just the little plastic handle at the top to pull on. 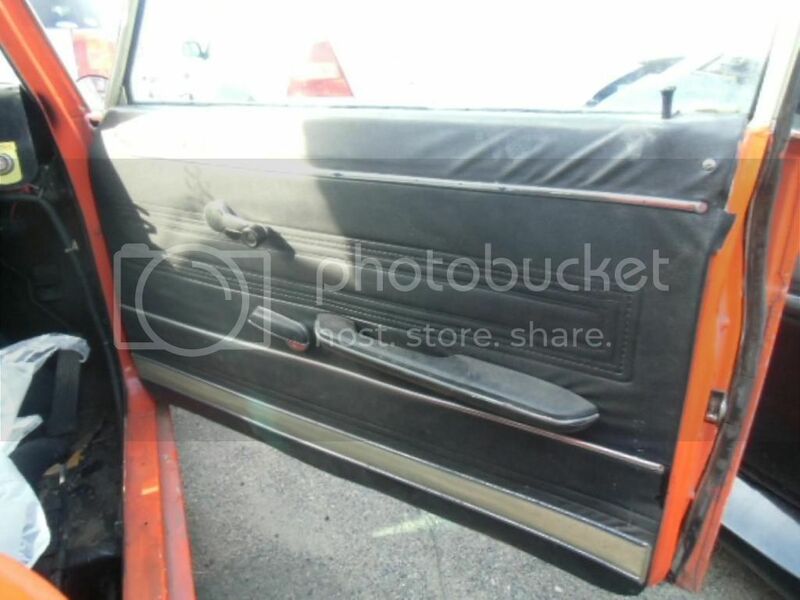 The later 71-73 2 door curved door panels I have also have the holes for the plastic pull handles cut into the door card but they are not cut thru the vinyl/foam. Dave Patten wrote: Another comment or query. I don't know, they are in the box, you will have to check it out yourself! I included the door cards in case you needed a detail or two. Thank you for the loan of the panels. I will take my dimensions and photos and get them back to you. 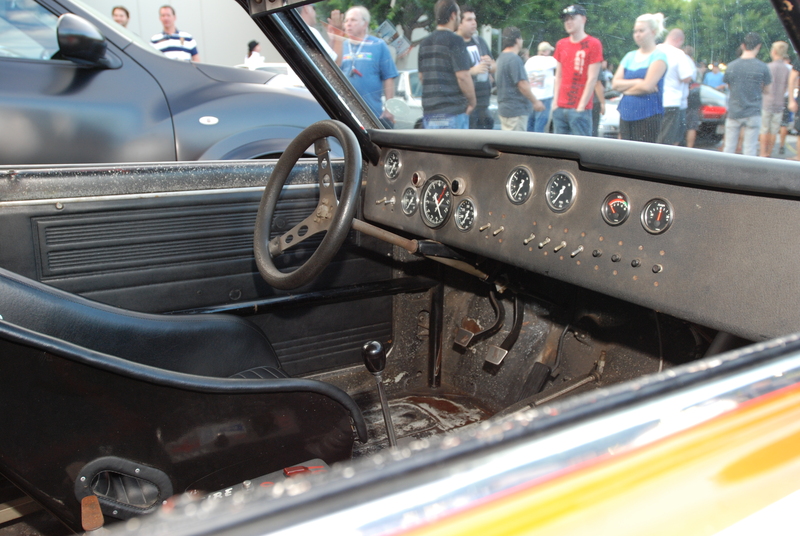 Not to take away from anything that you're putting together Dave, but has anyone seen the interior panels at Techno Toy Tuning? If you're not looking for the upholstered look, these look pretty sharp. https://technotoytuning.com/nissan/510, click on Everything Else. No relation to the shop, just didn't seen any traffic about it in a quick search. okayfine wrote: And my current MY69, JDM-yo, has the straight style panels, just with the aluminum garnish along the bottom. Not really clarifying the MY change, but at least there may not be world panels in addition to USDM panels. Ahh, but have you seen these panels going in my car?They're from a 4 door SSS. Very sharp!